These Brown Sugar Cookies are perfect for cutting out, they’re easy to make, and always totally delicious. 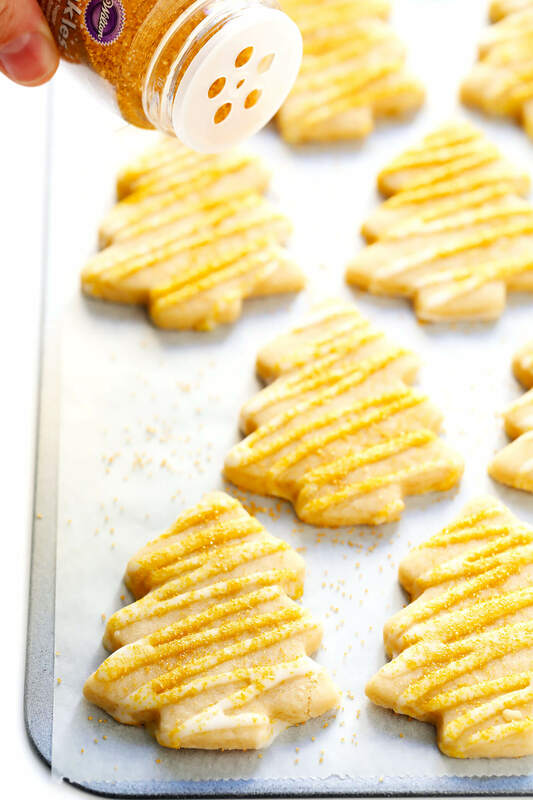 And finally, for the last post in our week of cookie recipes here on the blog, I have a new one for you today that lots of you have been requesting — my go-to sugar cookie recipe! 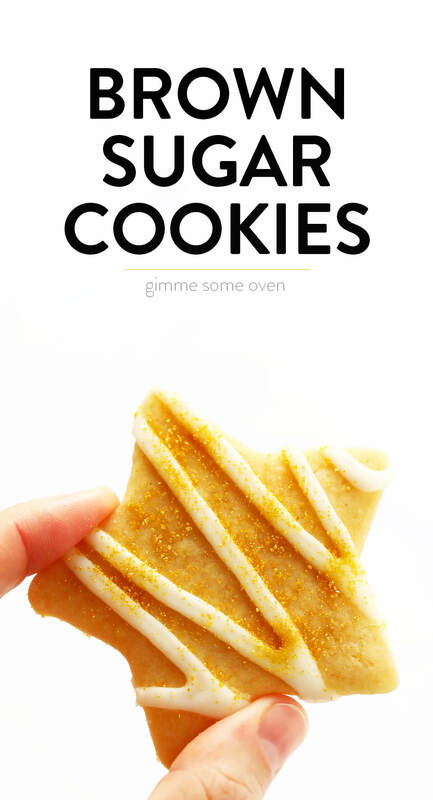 Make that, my go-to brown sugar cookie recipe. Because years ago, I started swapping rich and molasses-y brown sugar in place of white granulated sugar in these cookies, and haven’t looked back since. It’s my favorite kind of sugar cookie! 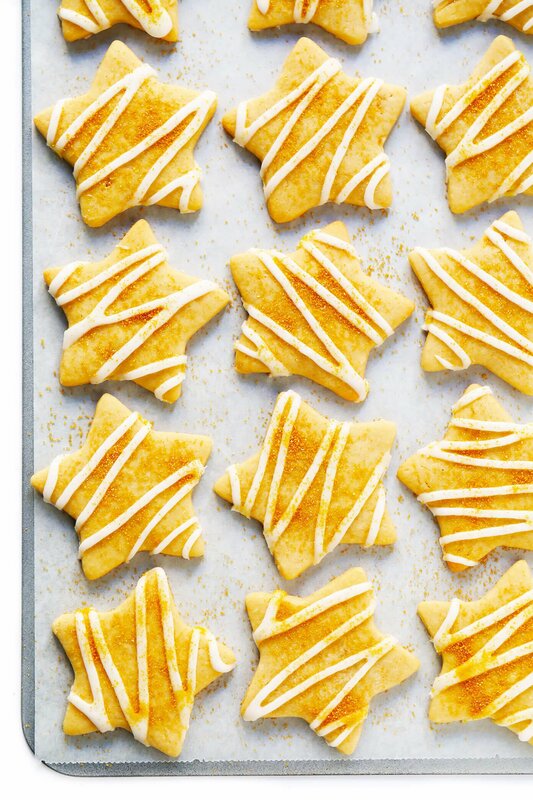 That said, I’m especially partial to this particular recipe because it’s cut-out-friendly and will hold the shape of whatever cute cookie cutters you decide to use. Plus it’s incredibly simple to make, calls for everyday ingredients you probably already have in your kitchen, and tastes great. I’ve also included two different icing options below, for those of you who are into royal icing and those (like me!) 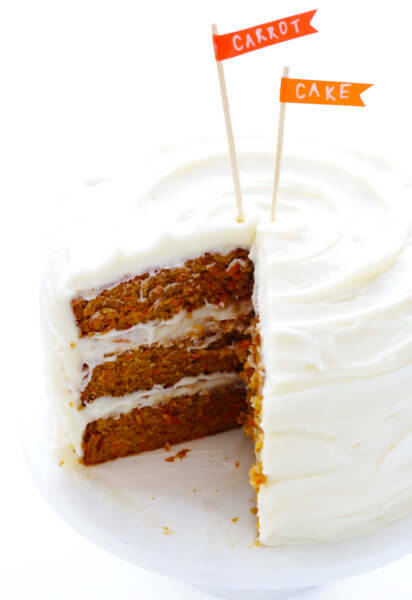 who usually just keep things simple with a quick powdered sugar icing. Let’s make some brown sugar cookies! The credit for this recipe goes to the amazing Bridget of Bake at 350, whose basic sugar cookie recipe is the best!! For this brown sugar cookie recipe variation of the recipe, I have swapped brown sugar for granulated. And also increased the vanilla a bit, because I love a super vanilla-y cookie. And also increased the egg to make for easy rolling. I’ve also scaled the recipe to yield about two dozen cookies, depending on what shape/size of cookie cutters you use. But of course, feel free to halve, double or triple this recipe according to the size of batch you would like to make. Flour: The recipe calls for all-purpose flour, plus extra for rolling out the cookies. 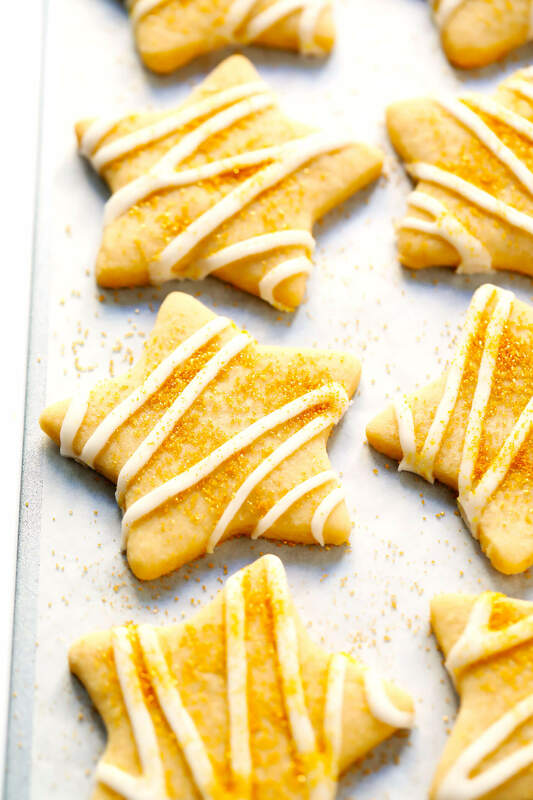 Baking powder, egg and salt: Because…cookies. Unsalted butter: Completely softened, which means it will still be a bit cool to the touch. Brown sugar: Be sure to pack it firmly into the measuring cup. Icing and/or Sprinkles: See notes below. Rolling pin: I own and love this one, but any rolling pin will do. Cookie cutters: This 101-piece set is affordable and has loads of options. 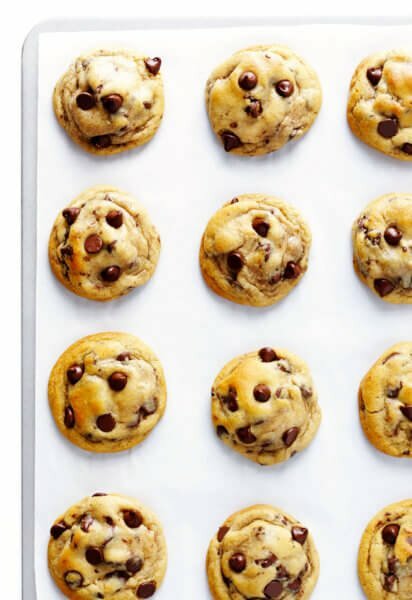 Cookie sheet: Any baking sheet will do, plus parchment paper or a silicone baking mat. Whisk the dry ingredients. Flour, baking soda and salt. Then set aside. Prepare the dough. In a large mixing bowl either with a stand mixer (with the blade attachment) or hand mixer, beat the butter and sugar together on medium-speed until light and fluffy. Then mix in the egg, vanilla and almond extract. Followed by the dry ingredients, mixing them until just combined. Be careful not to over-mix this batter! Cut out the cookies. Now the fun part! Turn the dough onto a lightly-floured hard surface, and roll it out until it is about 1/4-inch thick. (You may have to do this in two batches, depending on the size of your surface.) Then grab your favorite cookie cutters and go to town, re-rolling the dough as needed to cut out more. Transfer the cookies to a parchment-covered baking sheet. Chill the dough. Very important — for this dough to hold its shape, it needs a quick chill in the freezer for about 5-10 minutes. Enjoy! I highly recommend enjoying some of the cookies immediately. 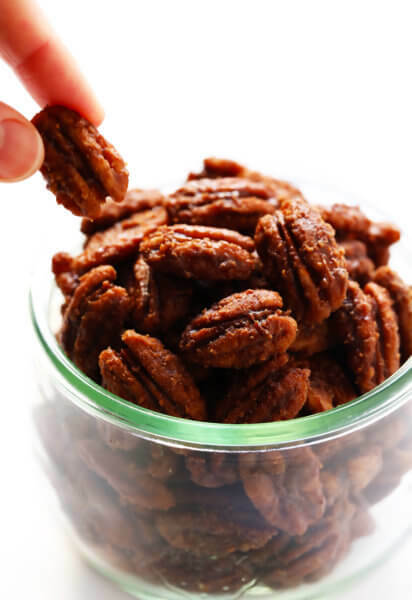 But if you have extras, you can store them in a sealed container for up to 1 week, or freeze for up to 3 months. 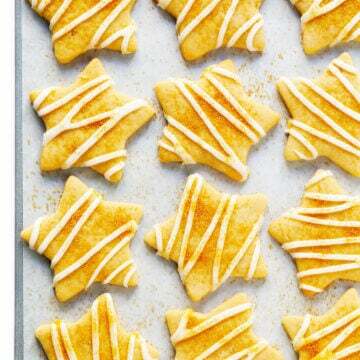 Royal Icing: Which is firm and best for intricate cookie decorating. I recommend checking out Bridget’s royal icing recipe here. Quick Icing: Most of the time, I just stick with a quick powdered sugar icing (pictured here), which is easy to make with just powdered sugar, your choice of milk, and a hint of vanilla extract. It doesn’t harden as much as royal icing, but it’s easy and delicious. Feel free to also use any kind of sprinkles that you love! I love using either a sprinkle of turbinado sugar or these gold sprinkles. Heat oven to 350°F. Line a large baking sheet (or two) with parchment paper; set aside. Form the dough into a ball, and place it on a large, lightly-floured hard surface. Use a floured rolling pin to roll the dough evenly until it is approximately 1/4-inch thick. 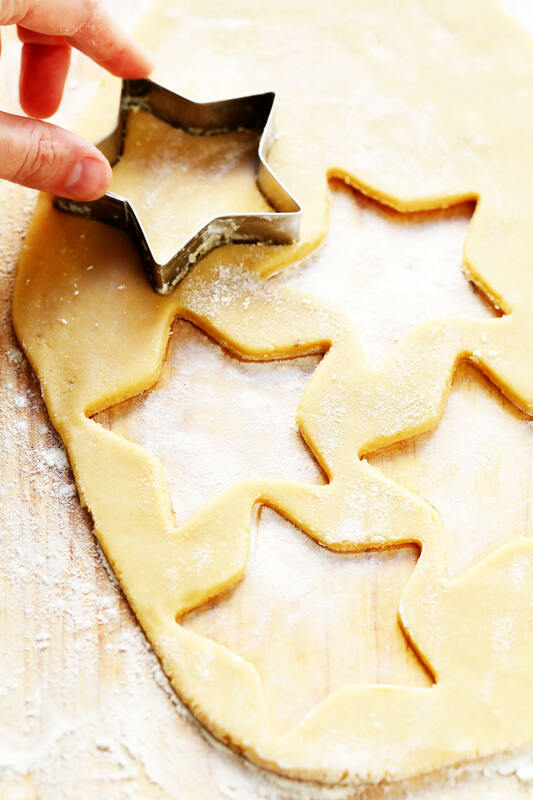 Then use your favorite cookie cutters to cut out your desired shapes, re-rolling the dough as needed to cut out more. Transfer the cookies to a parchment-covered baking sheet. Place the baking sheet in the freezer for about 5-10 minutes to chill the dough. Once the dough is nice and firm, transfer the baking sheet to the oven. Bake for 10-12 minutes, or until the edges just barely begin to turn golden. Remove from heat and let the cookie rest on the tray for 5 minutes. Then transfer them to a wire baking rack to cool completely. Enjoy the cookies immediately, or store in a sealed container for up to 1 week or freeze for up to 3 months. Whisk all ingredients together until combined. If the icing is too thin, add more powdered sugar until it reaches your desired consistency. If it is too thick, add a touch more milk. Recipe very slightly adapted from Bake at 350. These look easy & delicious!!! Can’t wait to try them out. I like that this recipe does not have a ton of sugar like some cookies or a ton of butter. Definitely will give it a try soon. Yay for a quick and molassey cookie! Can’t wait to try it next weekend as a trial for a cookie exchange! 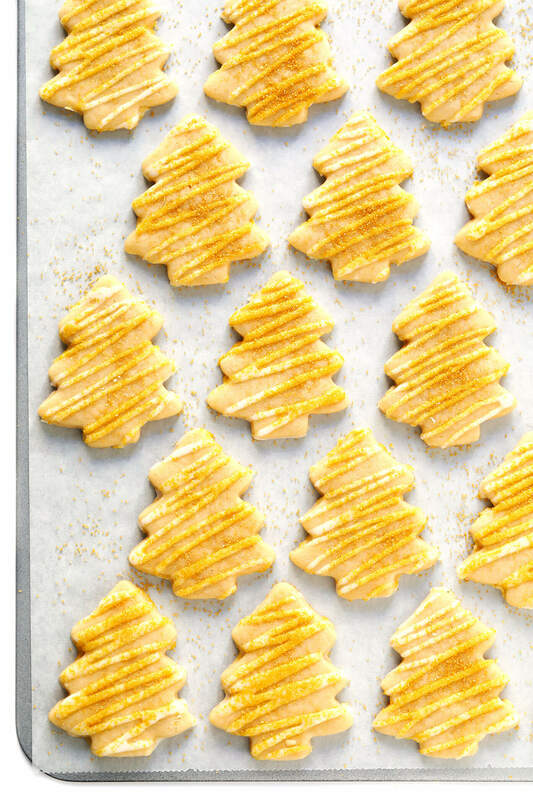 This recipe sounds fun and the gold sprinkles are lovely! These were great! I didn’t add the almond extract as a personal preference but otherwise stuck to the recipe. Recipe doubles well. Made these today and am totally obsessed! Like that it’s not too sugary and can be made dairy free by subbing in coconut oil! Definitely a holiday staple! These cookies are AMAZING. I never leave comments or reviews but I had to for these. I made four batches and every single one turned out perfectly. Sugar cookies are usually boring but I love the subtle flavor of these. I will be using this recipe for my Christmas cookies for years to come. Thank you!